ARLINGTON, VA --AUGUST 30, 2017--Ten top-performing school districts in Michigan are implementing Naviance by Hobsons, the leading software solution that helps students prepare for life after high school. Available to students, their families, and school counselors beginning this school year, Naviance by Hobsons -- which is used by more than 40 percent of high schools in the United States -- will replace legacy systems to advance the districts’ college and career readiness programs. Michigan school districts using Naviance include Ann Arbor Public Schools, Birmingham Public Schools, Chelsea School District, Grosse Pointe Public Schools, Novi Community School District, Forest Hills Public School District, and Saline Area Schools, in addition to Bloomfield Hills High School, East Grand Rapids High School, and Northville Public Schools. Naviance was selected by the districts because it is a comprehensive college and career readiness offering, which enables districts and schools to align student strengths and interests to postsecondary goals, improving student outcomes and providing a clear, personalized pathway to success. The districts noted that the platform is particularly helpful for first-generation students and their families to navigate the college admissions, scholarship, and financial aid process. 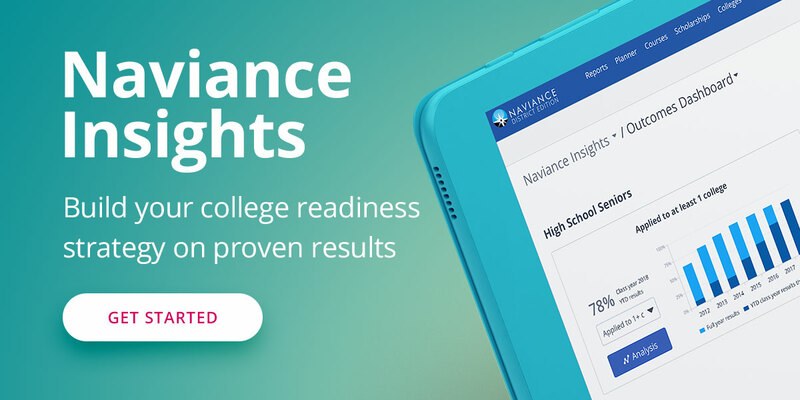 In addition, Naviance offers tools and guidance to students who may not traditionally pursue college, helping to ensure that all students have insight and support in determining their plans after high school. Naviance enables districts and schools to align student strengths and interests to postsecondary goals, improving student outcomes and providing a clear, personalized pathway to success. Naviance is powered by Hobsons, the global leader in college and career readiness technology. Hobsons helps students identify their strengths, explore careers, create academic plans, match to best-fit educational opportunities and reach their education and life goals. Through our solutions, including Naviance, Intersect and Starfish, we enable thousands of educational institutions to improve college and career planning, admissions and best-fit matching, and student success and advising for millions of students around the globe. Our leading college and career readiness platform Naviance was named the 2017 SIIA CODiE Award winner in the Best College and Career Readiness Solution category.